HEMP IS NOT MARIJUANA–Hemp and marijuana both come from the same plant–Cannabis sativa–and they both contain two major cannabinoids–THC (delta-9 tetrahydrocannabinol) and CBD (cannabidiol). But the similarities end there. Marijuana contains higher levels of THC, the psychoactive chemical that causes a “high.” Hemp contains a higher level of CBD, which reduces the psychoactive effects of THC. 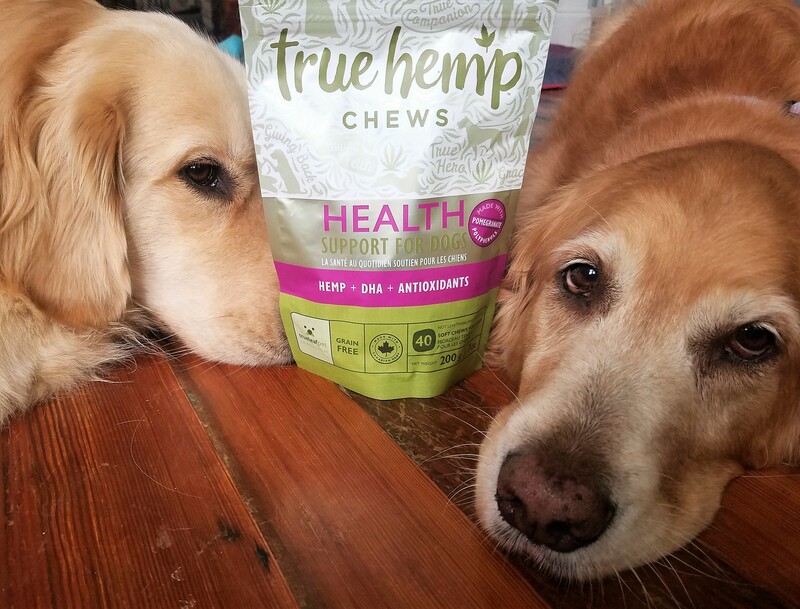 So, if you humans were thinking about eating hemp dog treats to get a little buzz, forget about it. 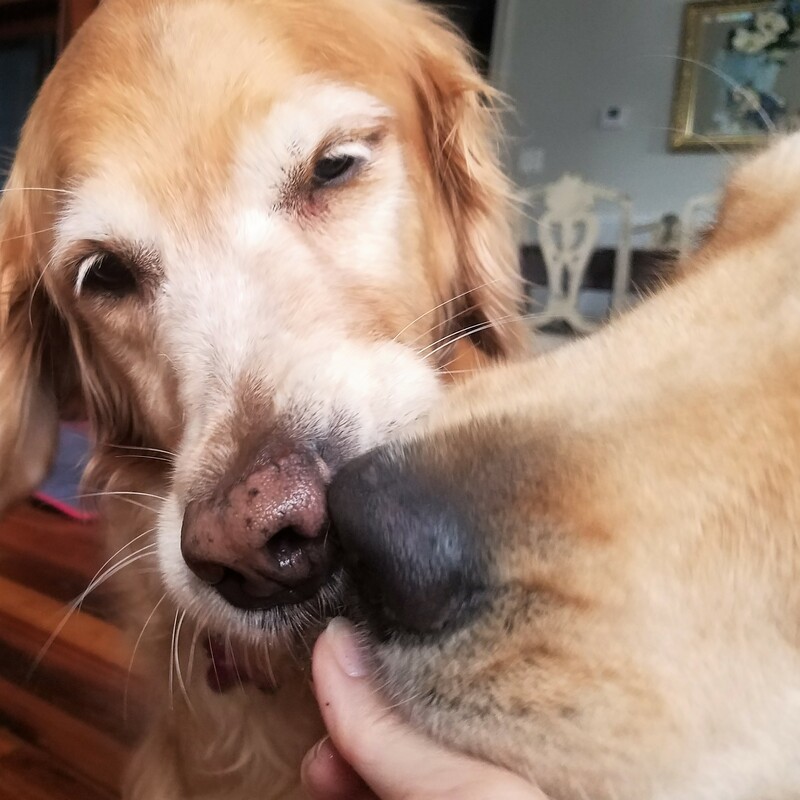 Hemp treats won’t get your pets high and they won’t get you high either. Enough of Mommy’s type of research, Tallulah and I were ready to do our own sort of science: the taste tests. The non-psychoactive cannabinoids used in our proprietary formula are sourced from hemp grown in Colorado. It is a full plant extract which contains terpenes and other non-psychoactive cannabinoids such as CBDA and CBDV. This extract contains no THC. 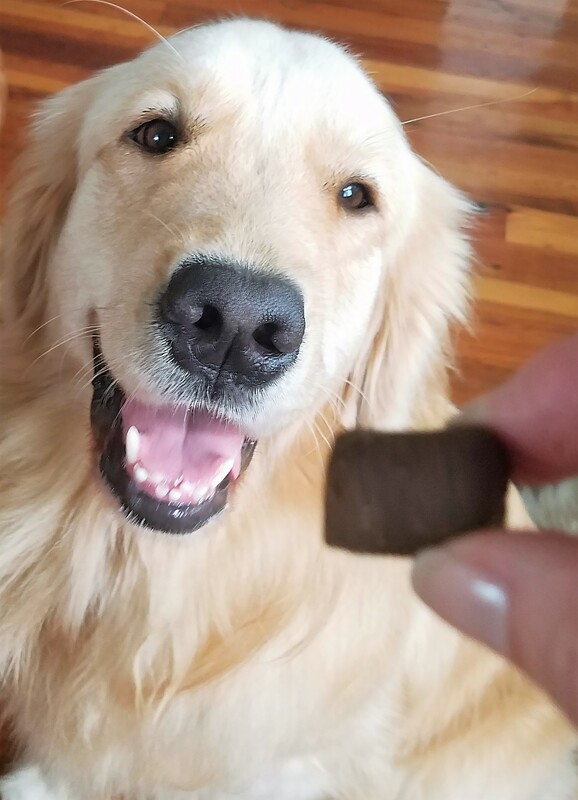 But best of all, they taste great! They come in two sizes: small-to-medium for dogs up to 50 pounds and large for dogs over 50 pounds. 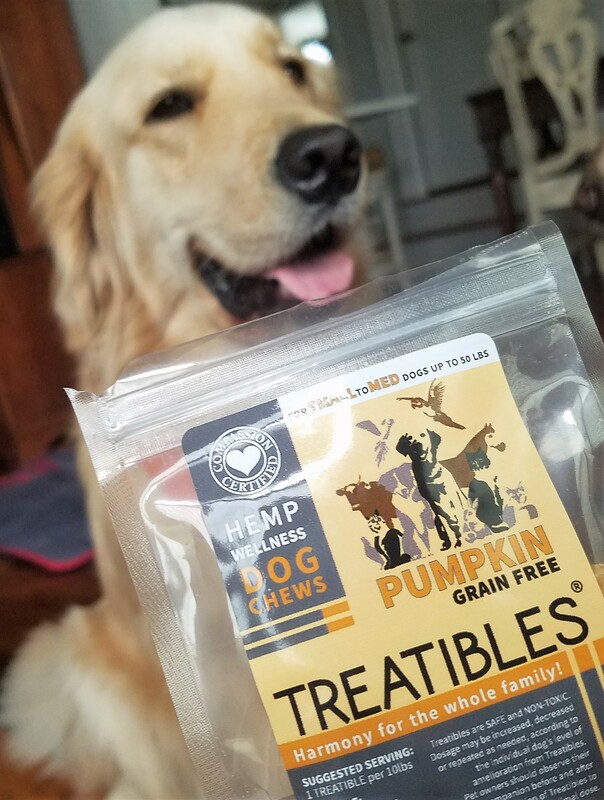 Tallulah and I tasted the small-to-medium Treatibles chews . . . so we could eat a few extras. 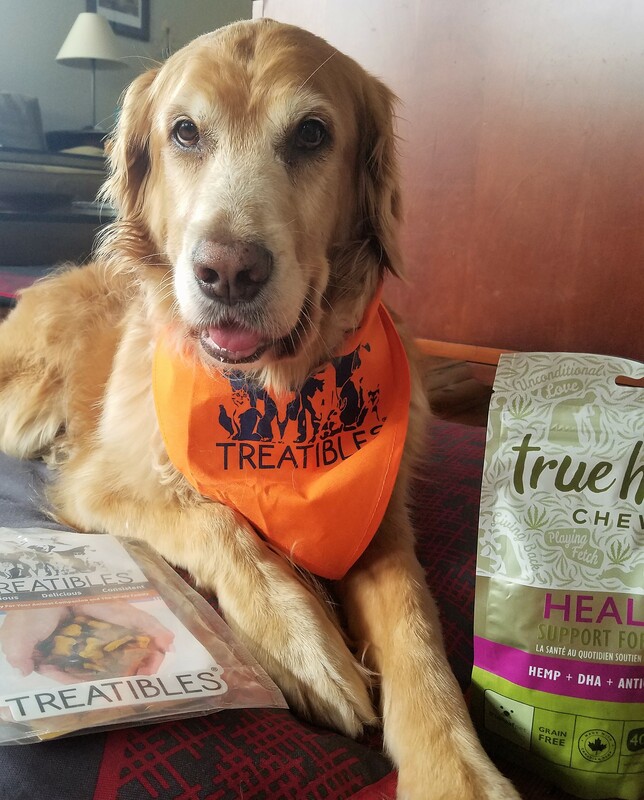 The Treatibles website offers a store locator. A few specialty pet shops in my area carry the products. 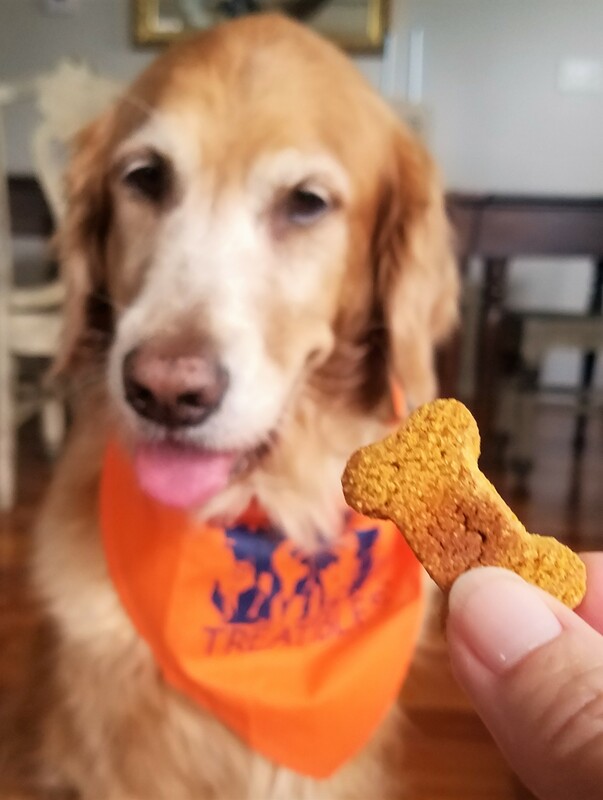 You can also use the site to purchase online (a bag of small-to-medium pumpkin chews–roughly 36 Treatibles–is $24; shipping for orders over $40 is free). By the way, Treatibles was established in 2013 and is based in California. The hemp used in our proprietary formula is grown in Ontario, Canada. This extract contains no THC and in non-psychoactive.